The iconic buildings at present are illuminated on eight select days through the year, including Republic and Independence Days, with static lighting. This system covers an area of 16,750 square metres. 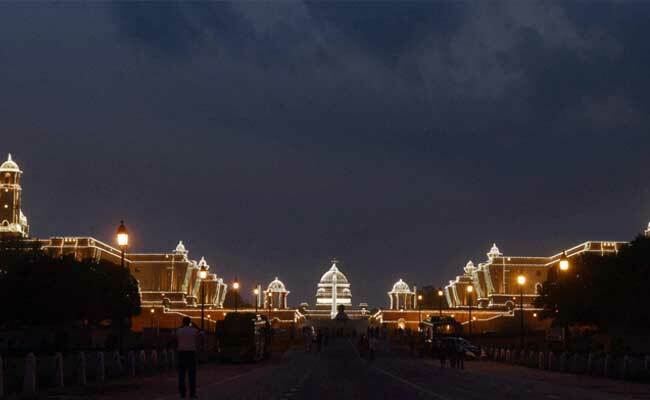 New Delhi: The North Block and the South Block, two buildings that flank the Rashtrapati Bhavan in Delhi, would be a visual treat daily from Wednesday with a dynamic lighting system displaying a wide range of themes with up to 16 million colour combinations, a senior official said. The new dynamic facade lighting, which will cover an area of 21,450 square metres, will be a treat between 7 PM and 5 AM with colours changing every few seconds, the official said. The full-capacity lighting will be between 8 PM to 9 PM. The system is equipped with dimming feature to reduce the electrical load, the official said. The initiative will add the two buildings to the league of other historical sites, like the Eiffel Tower in Paris, which are lit up everyday. The dynamic lighting, installed by the Central Public Works Department, will be switched on by a Union Home Ministry official in the North Block on Wednesday, the official said. "The system is capable of providing both volume and focus lighting to highlight the architectural features of the historical buildings, a fine blend of the traditional Indian and British architecture," he added. The annual saving on account of new lighting with respect to replacement, maintenance and operation costs will be Rs 86.40 lakh, he said. Besides, he said, the life of the new LED light fittings is expected to be over one lakh burning hours, coming to about 25 years as against only 10,000 burning hours for the existing system. The energy consumption of the new system will cost Rs 8.40 lakh per year, the official said, adding it would be "much less" as compared to the conventional lighting. The initial investment of Rs 15.40 crore for the new system will be recovered in six to seven years as against the costs being incurred every year now, the official said.